Discussion in 'AV Receivers & Amplifiers' started by Sessen Ryu, Mar 5, 2013. I'm hoping for some recommendations and advice. I'm looking for a new amp to power some MK speakers... I need 9.2, 3D and would like Audyssey XT32. There are a few Onkyos that seem to fit the bill, but I am put off by reliability issues, of which I have read many. Am I right in being put off? I notice that the Denon AVR-4311CI also meets my criteria.... - Denon seems to be a more reliable make, but the reviews in regards to sound reproduction (my highest priority) aren't as good as the iffy Onkyos. Wonder if there's anything else I should consider, or points to note that you could comment on? The Denon AVR4520 that replaces the AVR4311 also incorporates all of the features you are interested in. I would be wary about the reliability figures unless you have any strong statistics to prove it. I would be very interested to know how many onkyo owners there are on this forum vs denon owners then see what % of them had faults. I have had 2 onkyos (607 & 818) and had no issues. I would say the reliability/heat issues over Onkyo are overstated. I have had Onkyo 608 and absolutely no issues with it. It could be some of the very old generations had suffered from these problems. But these days, they are very stable. Atleast as stable as other manufacturers in my view. 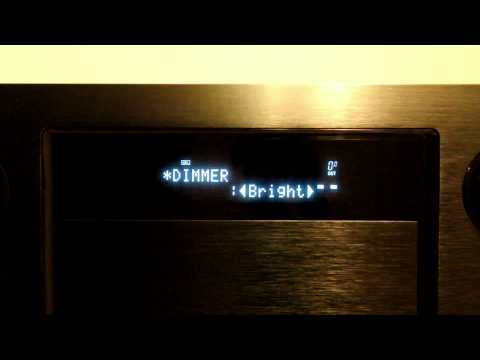 If you like the sound from Onkyo, by all means go for it. I'd suggest the Onkyo owners threads are indeed proliferated by more issues relating to reliability than most other threads dealing with other manufacturers. Many of the issues that arise appear to be inherent, and commonplace and not random or rare. The proof is here on this very forum, unless you are suggest this forum attracts Onkyo haters who lie? I by no means suggest that other receivers are free from faults, but the Onkyo receivers do appear to be repeatedly plagued by issues that are not resolved and required either a replacement model or hardware repairs to be carried out. I suppose time will tell if my current 818 is faulty. I would love to see failure rates of all AVR's.